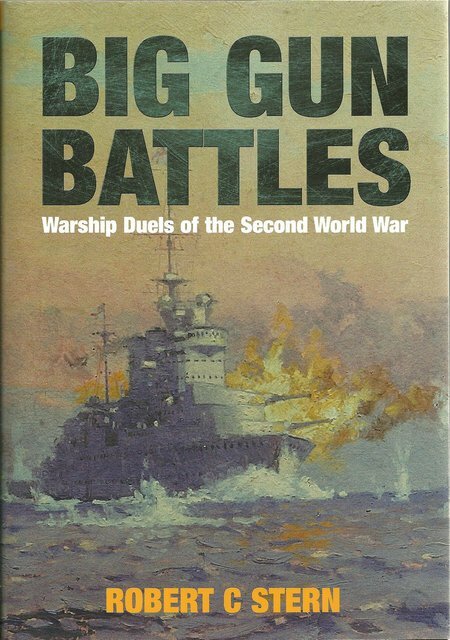 DESCRIPTION: The author has addressed one of the neglected aspects of naval warfare in WWII, namely gun duels between major warships. The aircraft, carriers, torpedoes, bombs and submarines had reached maturity by 1939 and dictated much of the conflict at sea. Deservedly, they merited the lion share of attention in the news of the time and in the subsequent history coverage later. The author has introduced some balance. There were still gun duels and there were Fleet actions. They had an impact on the course and outcome of war. The able text shows careful research and the book contains a considerable number of illustrations through the body of the book. An excellent and rewarding story of the last hurrah of the naval big gun. The accepted wisdom is that the big gun warship was completely replaced by submarines and naval aviation on the outbreak of WWII. That is a very long way from the truth. In 1939, the German Navy had a relatively small fleet of submarines and no aircraft carriers. They did have an air force that could operate over water, but only a handful of long range maritime patrol and attack aircraft. The Germans still believed the way to destroy British shipping was to use raiders with an large gun armament. That might have been the case had the war started when Hitler expected, at some point after 1944 when his surface fleet building program had completed. He would also have had some carriers with marinized fighter and bomber aircraft. It was only when it became clear that the Royal Navy was able to neutralize German heavy warships that the U-Boat building program was dramatically increased. One of the early successes for the Royal Navy was the action with the German pocket battleship Graf Spee and her 11in main guns, with 5.7 in secondary armament. Cornered by three much smaller British warships, the Graf Spee ran for cover in neutral Uruguay. Intimidated by the Royal Navy, the Graf Spee was ordered to leave port and scuttle herself. Surface raiders built by adding a heavy gun armament to a merchant ship were hunted down by Allied surface ships, with the naval gun being the weapon used to destroy them. In the Mediterranean, the Italian Fleet put out to engage the Royal Navy and were driven back to port. The battleship Bismark put to sea to intercept Allied convoys in the Atlantic and was cornered and sunk by RN battleships and cruisers. These were just a few of the naval gun engagements and, near the end of the war, the German Scharnhorst was hunted, shelled and sunk by the RN off the Norwegian North Cape in a classic big gun engagement. The author has not provided a complete review of every surface warship gun engagement, but has selected some notable actions and employed many photographs in illustration. This redresses the balance by showing the continued use of the naval gun. The part played by naval aviation and submarines is not questioned, just placed in fairer perspective.